Statistics reveal that dog attacks often occur quickly and that victims are often left unprepared to deal with these attacks. Additionally, the Center for Disease Control reports that approximately 4.7 million individuals in the United States are bitten by dogs each year. 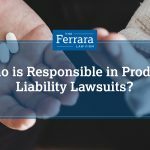 If you or a loved one is bitten or attacked by a dog, you should not hesitate to obtain the assistance of an experienced attorney. The following are some steps to take immediately following a dog bite attack. One of the most important things to do after a dog attack is to identify which dog caused the incident as well who owns or controls the animal. While there are situations in which a person is bitten by a stray dog or an animal that does not have an owner, these situations make it much more difficult to determine who is responsible for the injuries incurred. Even in situations in which dog bites only appear to be minor, it is still critical to have these injuries promptly examined by a doctor. When the skin is broken even slightly, it is still possible for an infection to form. Based on the severity of the bite, you should decide whether to contact emergency workers or have someone take you to the closest medical facility. If you decline medical treatment at a nearby facility and instead decide to treat your wound at home, you should make sure to immediately wash the area with clean water and mild soap to make sure that any bacteria from the dog is properly removed. After a dog attack or bite, report the incident to your local health department. If you are unable to identify the dog, you might be required to receive rabies shots. In many cases, it is also important to contact the local animal control office and the police. After a dog bite occurs, you should make sure to obtain details about the owner of the animal, including their address and name. It is easier to obtain compensation after a dog bite if you know who the animal’s owner is. While collecting important information, take photographs of the injuries caused by the dog as soon as possible. Take detailed notes about how the accident occurred in case you forget these details later. Because dog bite laws can be complicated, do not hesitate to speak with an experienced dog bite attorney today to obtain assistance with your case immediately after a dog attack. 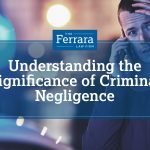 At Ferrara Law, we are experts on dog bite laws in New Jersey and know what it takes to make certain that you receive adequate compensation. Contact our law office today to schedule an initial free consultation, during which time we will discuss the steps that our firm will take to make certain that the dog’s owner is held accountable.